Discussion in 'Price Drops, Must-Have Freebies, and Deals' started by voncarp, Mar 13, 2015. 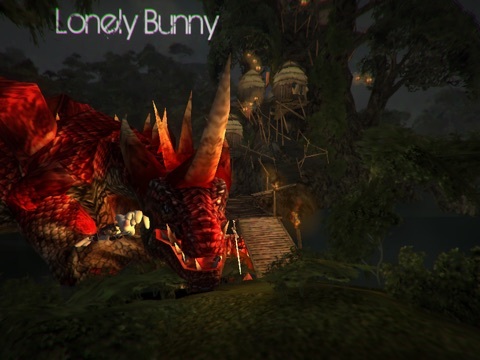 I put an old game of mine A Lonely Bunny RPG to free for a month. I made it several years ago, let it sit on my hard drive and released it last year. It lacks polish and may crash on older devices as I haven't updated it for awhile. The general gameplay is there. Revisiting it, it plays pretty slow. Sorry. 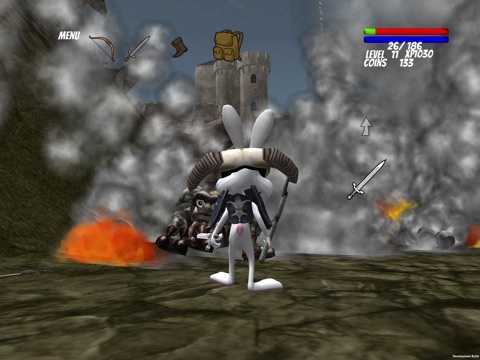 In the first area look for the concrete tower and run into it and you will climb over the obstacle. 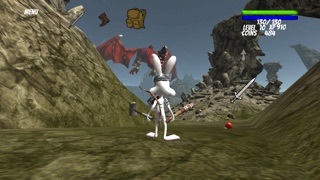 To kill the dragon in the third level just draw your bow after a few seconds of falling and shoot it one time. After hitting an enemy several times, sometimes a prompter will show up. Tap it to perform a finishing kill. 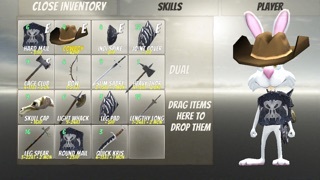 You can upgrade your skills and weapon usage in the inventory menu. It has in app purchases, but they are only for coins. Every enemy you kill will give you coins anyways. 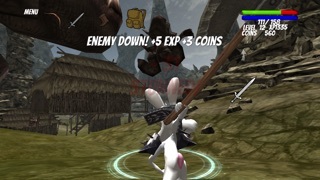 The most advanced Action Role Playing Game on mobile devices. 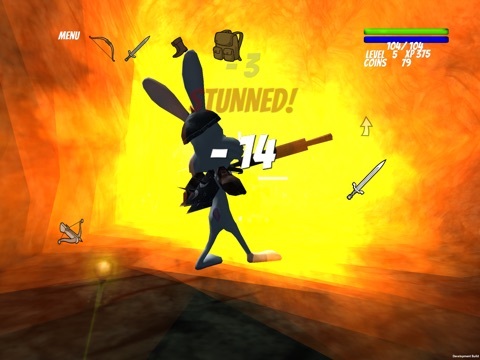 An unmatched complex engine that brings you the most entertaining role playing game on mobile or console devices. Strategically battle powerful titans, dragons, and more! Unleash over the top melee, ranged, and magic combos to survive against waves of enemies . 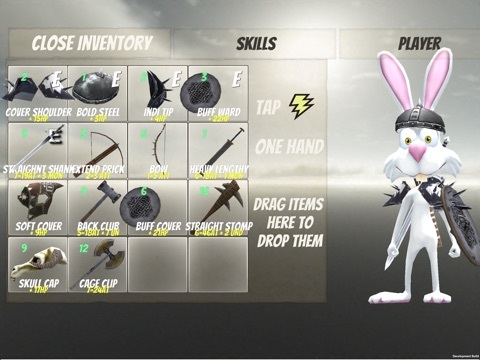 Collect over 150 individual designed unique weapons and enjoy a fast cutting edge inventory system designed to customize your character with endless combinations. Explore an exciting world filled with mythical creatures and engage in gigantic battles with colossal creatures that have yet to excite your imagination! 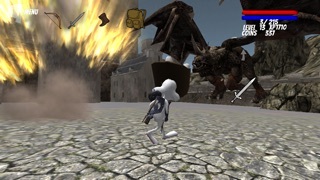 Enjoy the hit mobile RPG that everyone is talking about! New Gamecenter Features! Track total enemies killed Track the max/total distance you sent an enemy flying! 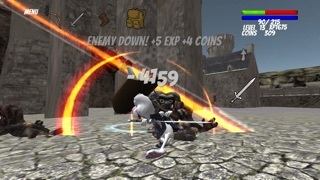 Enjoy five fighting styles: One Hand Shield Two Hand Dual Wield Polearm/Spear Ranged Weapon Use over 40 abilities including: Over twenty finishing moves Freeze Magic Lightning Bolts Fireballs Support for iPhone 4s and above. Support for iPad 2 and above.